A glance at the tide table shows big tides predicted. The online weather station shows the pressure dropping. Slowly but surely the graph is trending downwards, soon we should be below 1000 millibars of atmospheric pressure. The wind is rising too and swinging from a north to a westerly direction. All the signs are there for a flood. This will not be a flood on a biblical scale, not one you would need to flee from, in fact many people will be flocking to the muddy banks of the Dee to witness it. 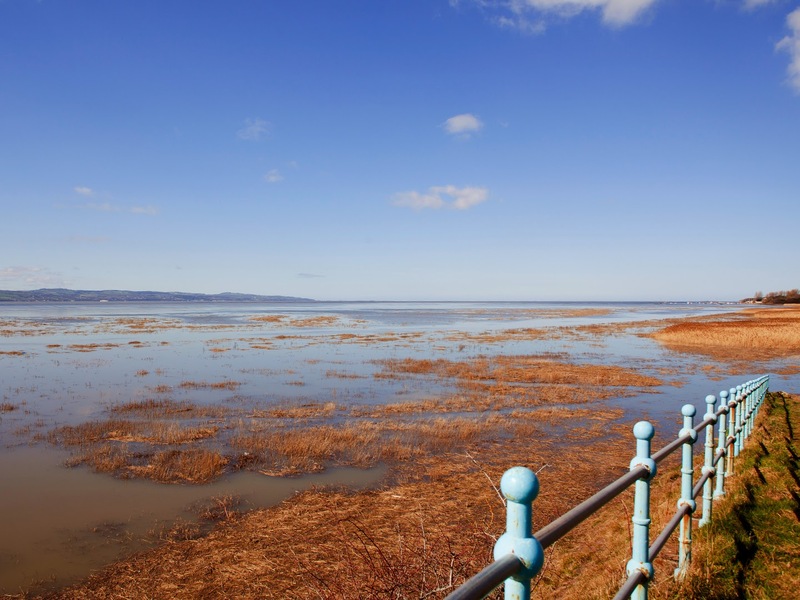 The huge amount of water being dragged towards the land will cover the usually peaceful marshes and force thousands of birds from the mudflats to seek refuge anywhere not flooded by these monster tides. The usually secretive Short-eared Owls and Hen Harriers will be flushed from the cover of swampy grasses and, hopefully, be easy to see and - even more hopefully - photograph. I have a few days off work that coincide with these large tides (that is not a happy coincidence, it was carefully planned in advance) and I plan on getting out there to catch the great flood. My usual place on Thurstaston Shore will be no good for this; the rushing tide will swiftly engulf it and, in the blink of an eye, sweep away any birds feeding there. To witness the tidal spectacle at its peak I’m going to have to go off-Patch again (see my previous post about venturing away from my usual haunts). I’m going to head south. South of Riverbank Road to the Outer Rim of the Patch. There are several possible watch points and I have to decide where exactly to go, this means I will have to guess how far the tide will come in – not an exact science. The last thing I want to do is pitch up somewhere that doesn’t flood. Also I want to steer clear of Parkgate, that is going to be waaaaaaay too busy and I like to avoid the crowds. I much prefer it when birds outnumber people. I figure I will start at Cottage Lane as, given the predicted tide height, that is almost 100% certain to flood. 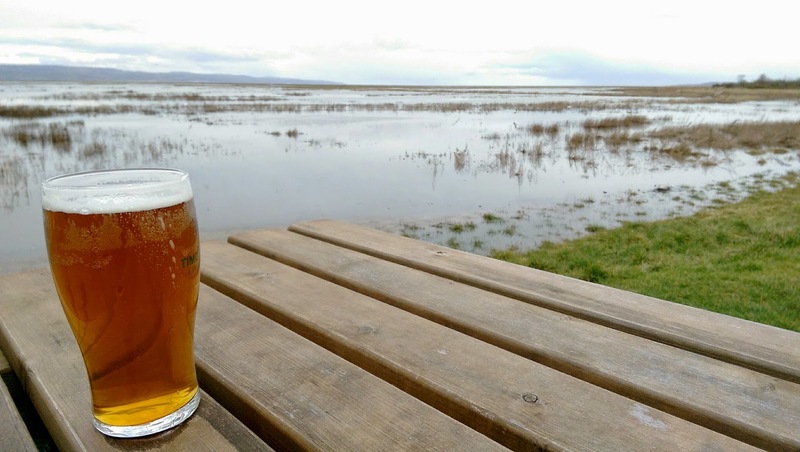 Then if it looks like being a mammoth tide I will leapfrog Parkgate to the Harp Inn at Neston. At least if it doesn’t flood here I can have a pint. Rather pleased with my cunning plan I set off with charged batteries and empty memory cards (and snacks). Cottage Lane is disagreeably busy but I see a few familiar friendly faces for a chinwag. But the tide is just building the momentum in needs to breech the outer rim of the marsh where it ends and the mudflats begin. It rushes in all at once. Everything is moving in all directions. Oystercatchers leave in their thousands, up and away from the leading edge of the tide. The Blackwits go high, some splitting from the main flock and heading inland, the rest flying down the estuary towards Burton. Redshanks are moving in innumerable small flocks, most in the same direction as the Oycs but some are heading back towards roosts on the north Wirral coast. The Knot have disappeared altogether. Shelduck and Pintail drift in on the current, Teal anxiously zoom past in wader-like flocks, the smallest duck making the biggest fuss. Meadow Pipits, Skylarks, Linnets and Reed Buntings congregate on mats of seeds that the tide is collecting and transporting towards the shore. They fly off in all directions, some over our heads to the golf course behind us. A nervous Water Rail calls from the reeds. 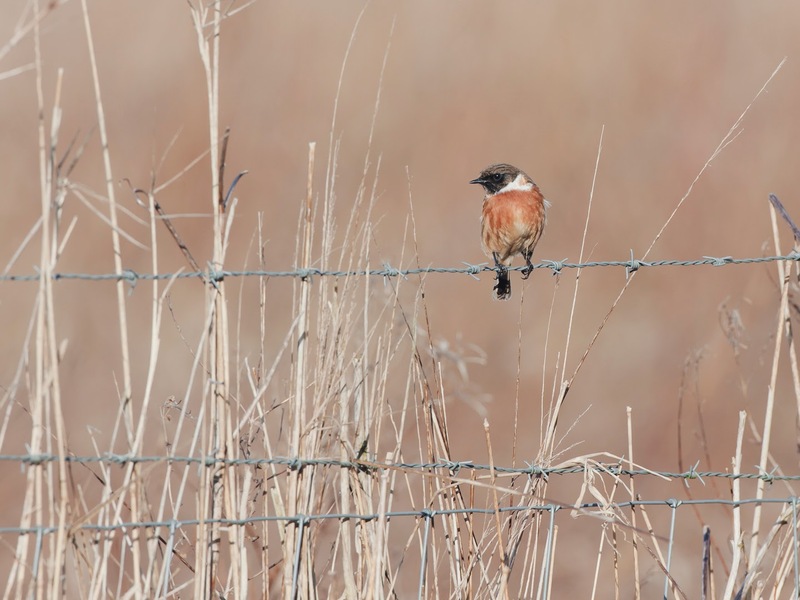 Someone has spotted a Short-eared Owl and calls out directions to find it in the chaos. The bird is being mobbed by crows and gulls while it escapes as the water floods its roost site. The crows and gulls quickly turn their attention to the hundreds of small mammals that are literally swimming for their lives away from the flooding marsh to the sanctuary of the old sea wall and the golf course. Many don’t make it, scooped up as lunch by the swooping corvids and gulls. The Owls aren’t close enough for a decent set of photographs and it is a little too hectic here so I initiate the second phase of my Outer Rim plan. Up at the Harp the marsh is starting to flood nicely and it is much quieter, more relaxed. Looking down towards Burton there is a Great White Egret and further out a Peregrine is harassing some already harassed waders. The Blackwits I saw flying over Cottage Lane a few minutes earlier are attempting to roost on an island of vegetation. A little flotilla of Teal are swimming with the tide in front of them – looking a lot more relaxed than their counterparts from Cottage Lane. The same mix of small birds is feeding on the washed up seed mats now pushed up close to the old quay. Not so close are the owls. We get good views but there is close and then there is getting pictures close. 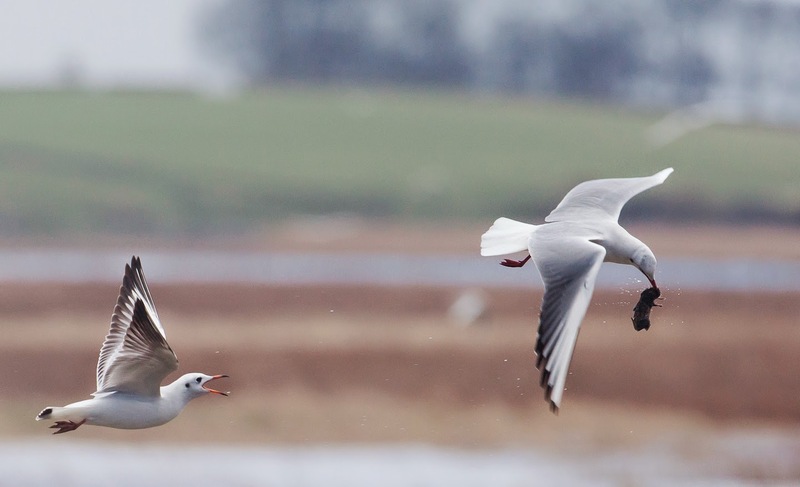 These birds stay just out of range so I aim the camera at the rather gruesome goings on closer to shore. Having made the effort to visit the Outer Rim I am not keen on going home picture-less. 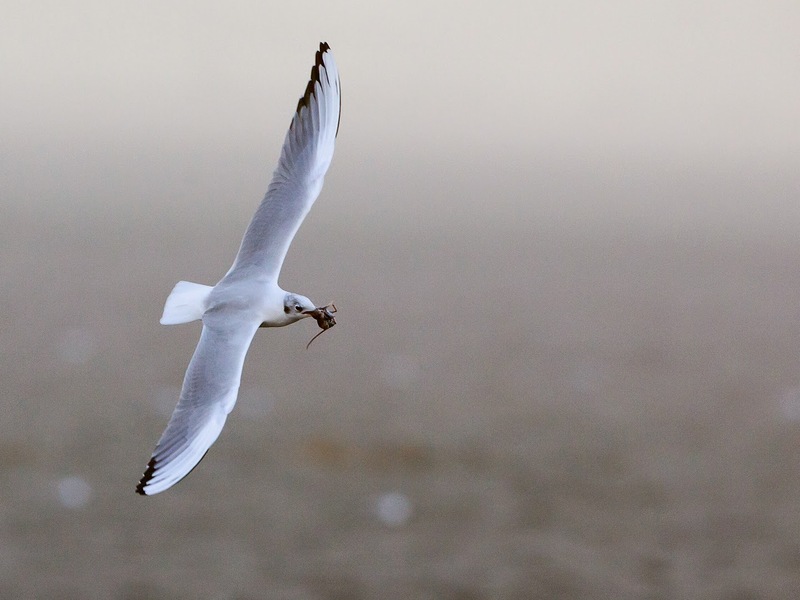 A good number of voles, rats, mice and shrews are being mercilessly picked off by gulls as they race for the shore. Every now and then you’d spot one swimming like mad to get to safety, the people on the shore willing them to make it to shelter unseen by the birds, only to gasp with dismay as a bird swoops in to pluck it from the water. Inevitably, as the tide starts to recede the action starts to slow down. The birds settle to roost and the mammals have either made it to shore or perished on the way. Seeing as I am outside the pub it seems silly not to initiate phase three of the Outer Rim plan. I call in for a pint. Another plan starts to form. It’s not so bad around the Outer Rim.